Our Sept trip was centered on a FMCA club gathering in Pine Mountain, GA. We have been in this area several times before and planned on visiting some new places. 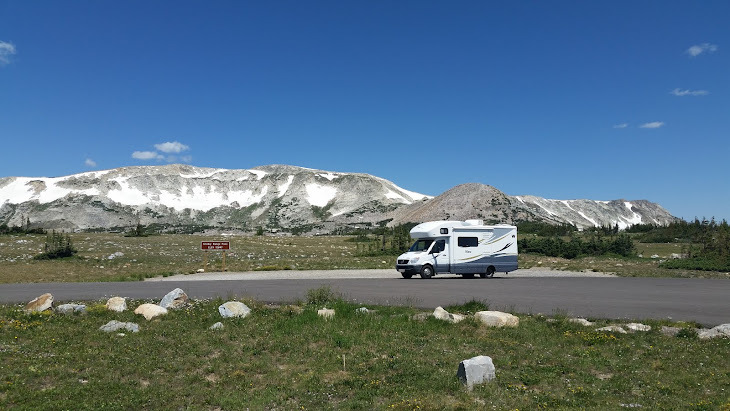 We camped at the Fort Benning RV park located outside of the main base on the Alabama side of the Chattahoochee River near the town of Fort Michell. 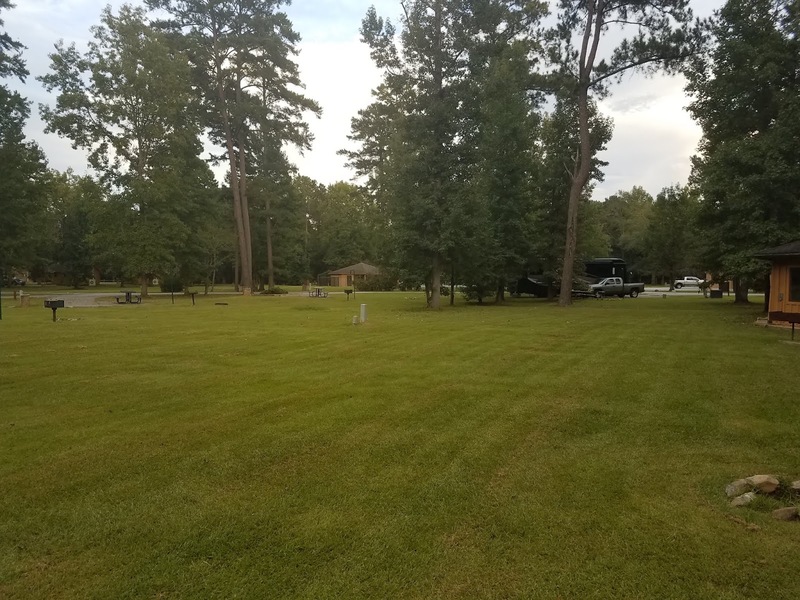 We have stayed here in the past and it usually has open spots for an overnight stay. 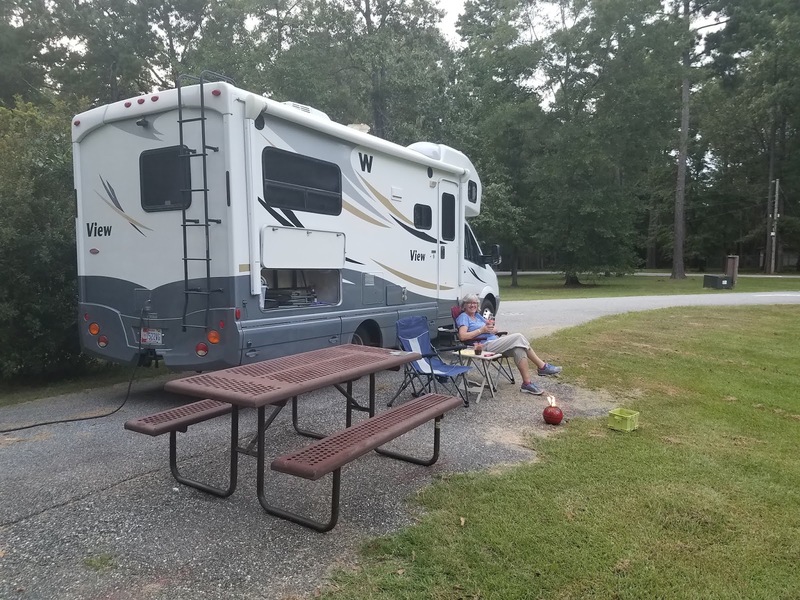 We did get a spot, but many of the spaces were reserved for people leaving the Hurricane Florence impact zone. 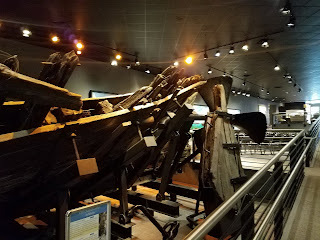 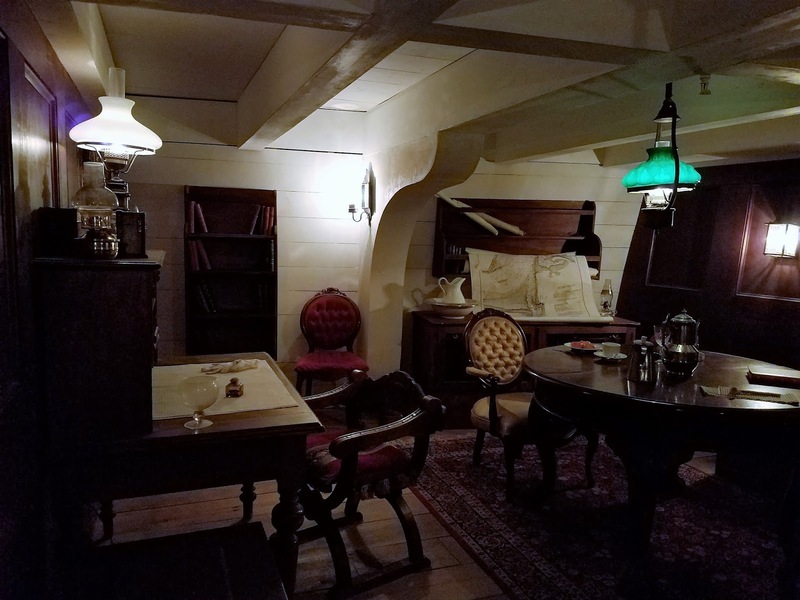 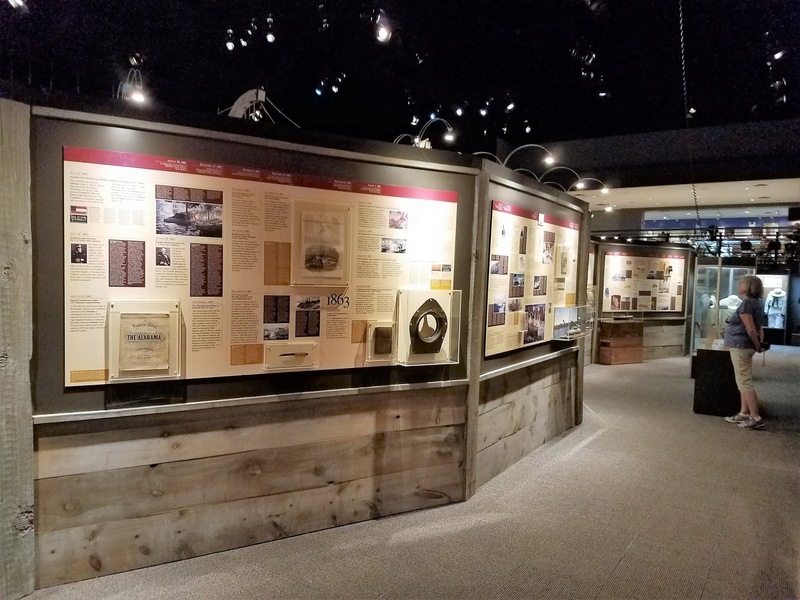 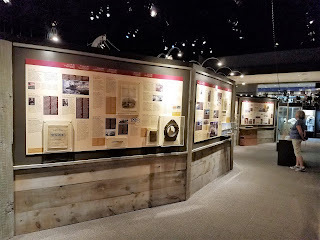 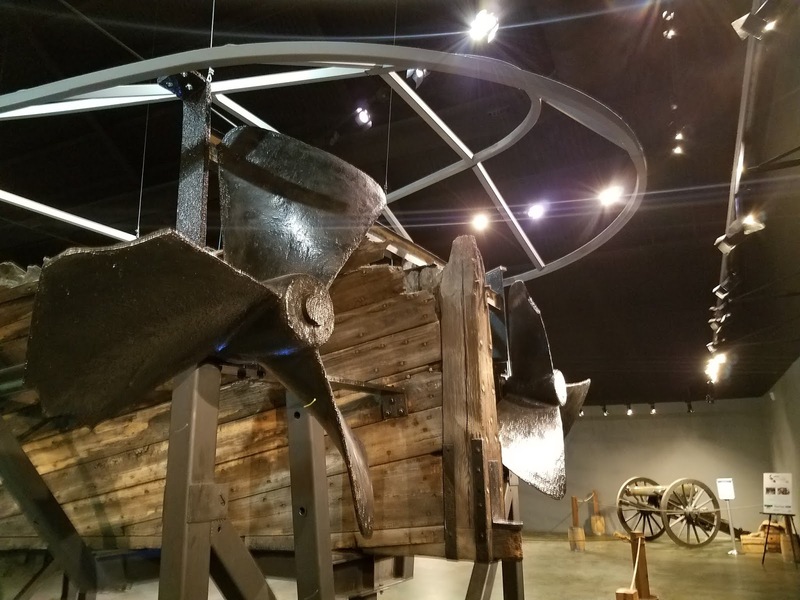 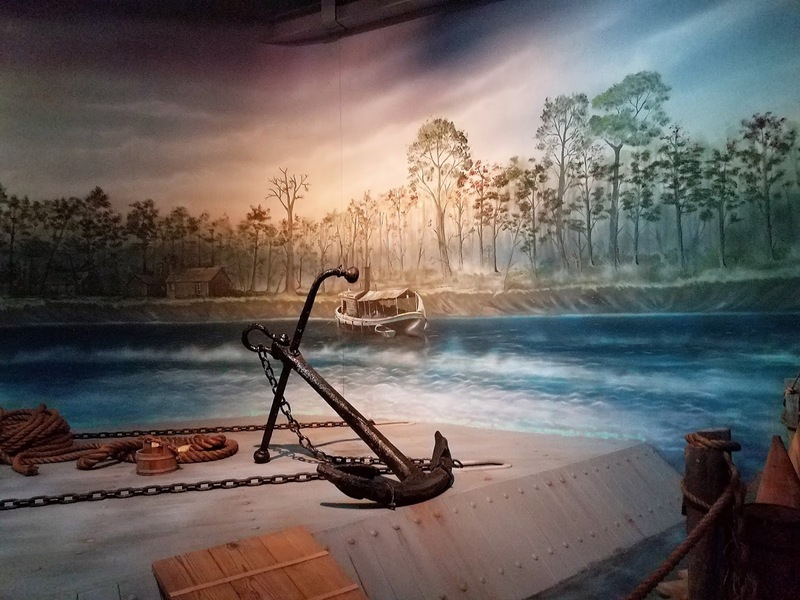 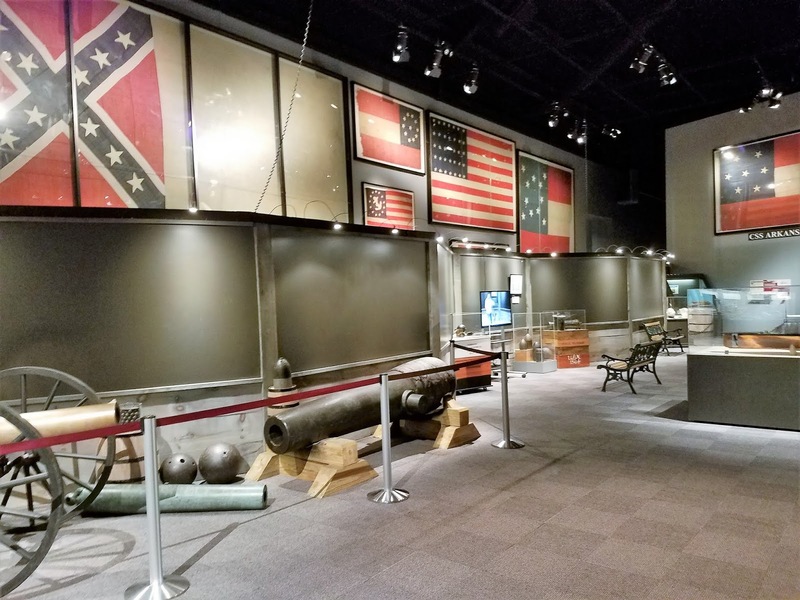 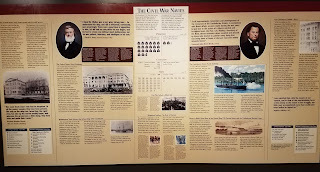 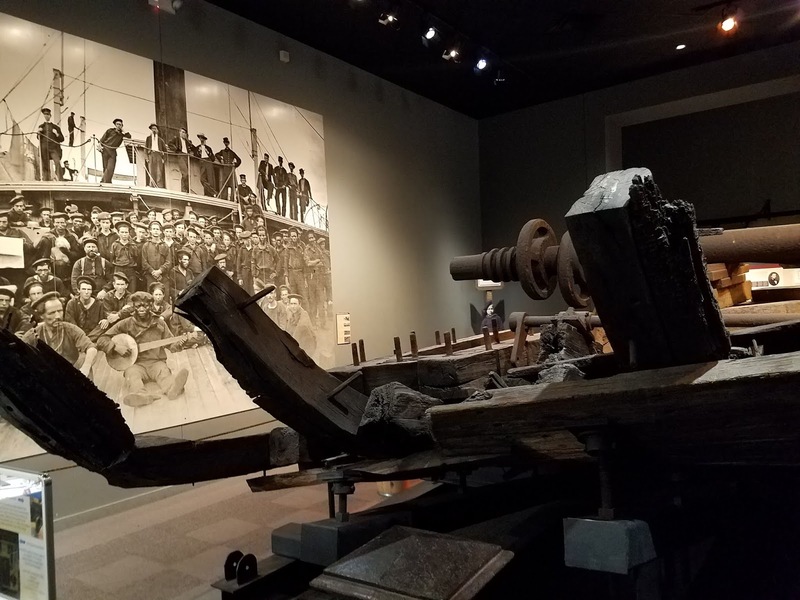 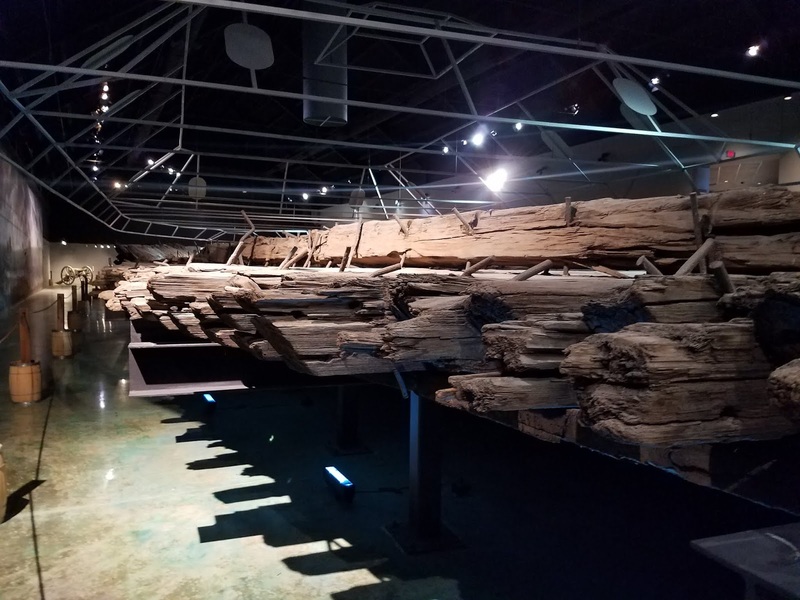 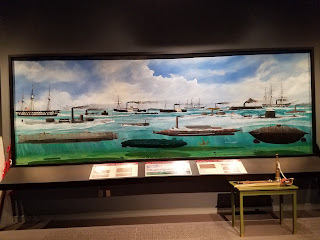 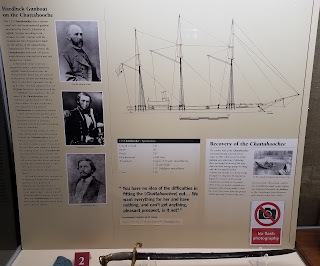 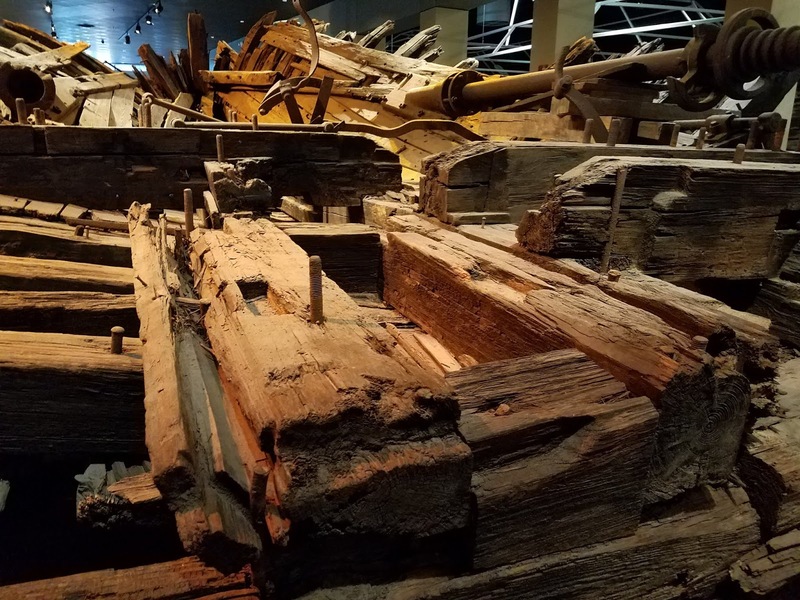 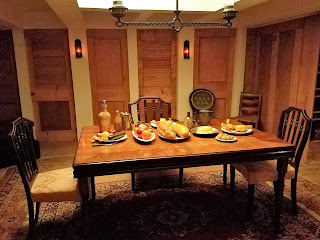 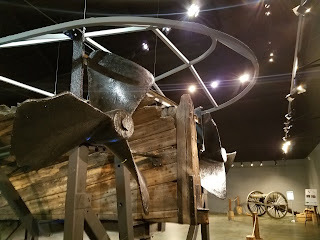 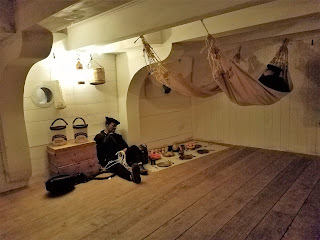 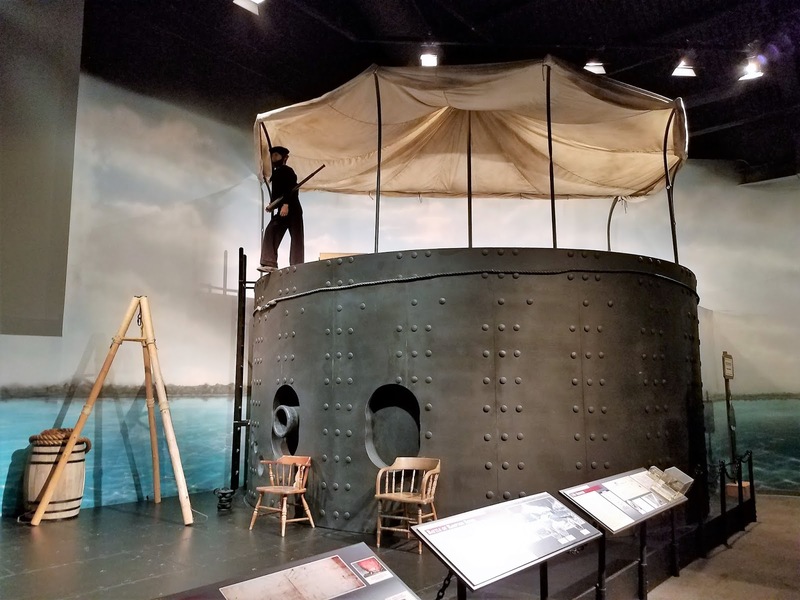 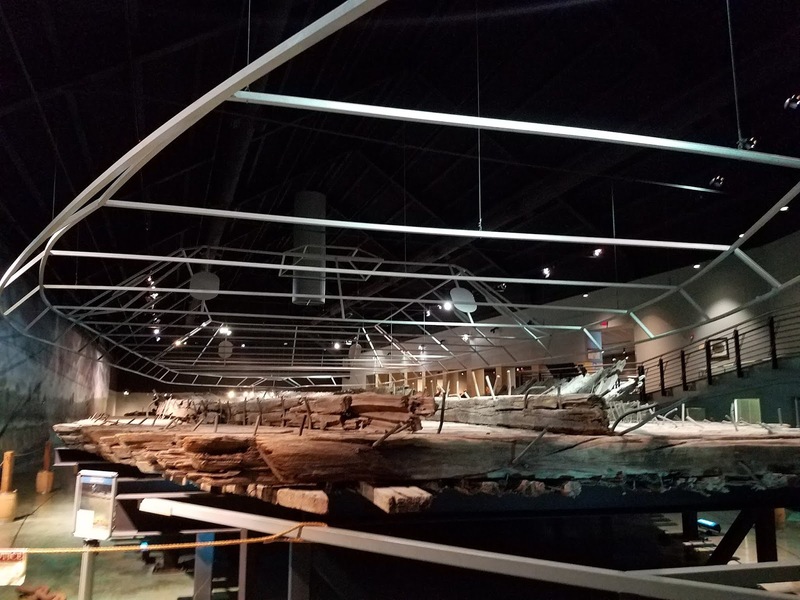 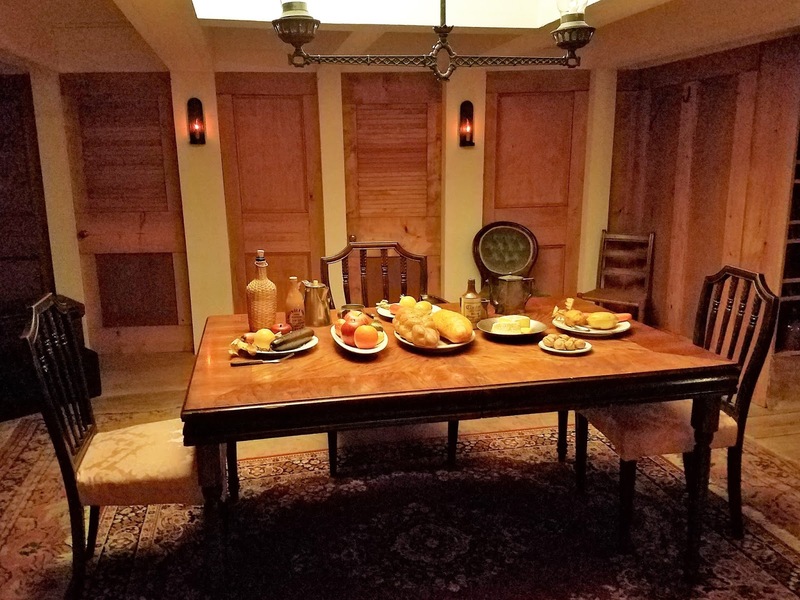 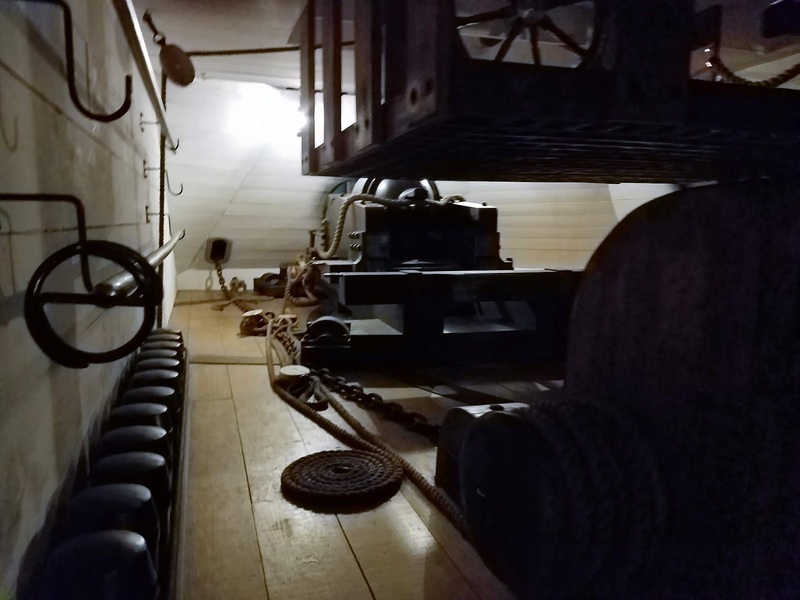 In the morning, our first stop was the National Civil War Naval Museum in Columbus, GA. We did not realize that we visited here before but there is, lots to see and there is always something new to learn. One of the main exhibits is the CSS Jackson hull recovered from the river nearby. 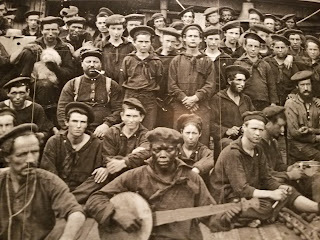 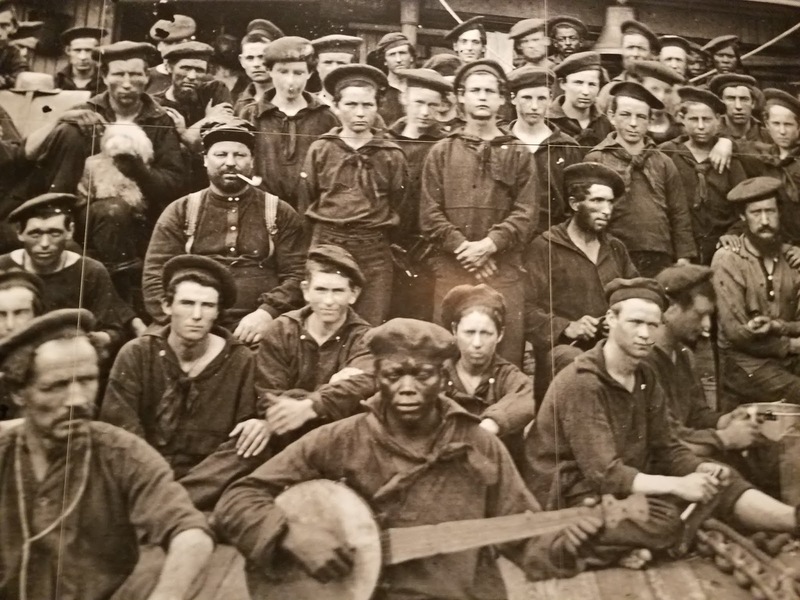 In 1865, the vessel was nearly completed when the Union army arrived in Columbus. 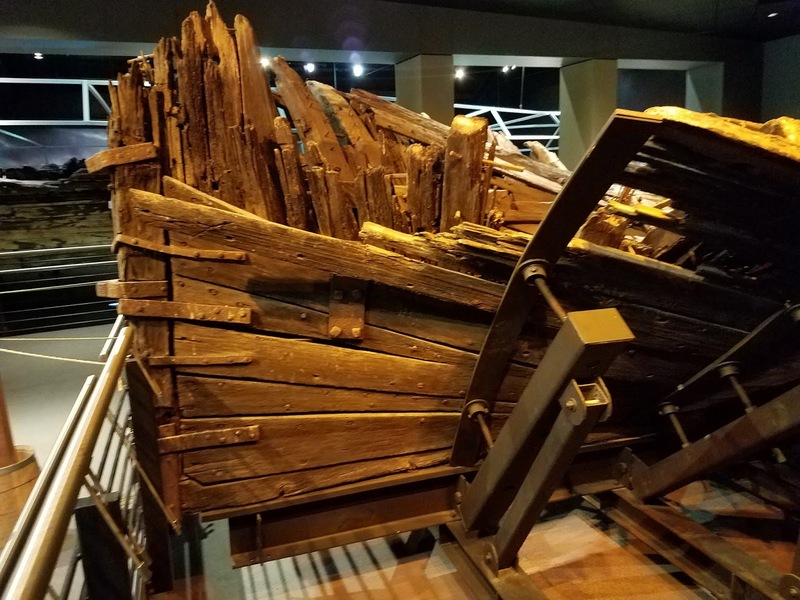 The vessel was not yet manned, and the vessel was set on fire and released from the dock and drifted on the river until it sunk. 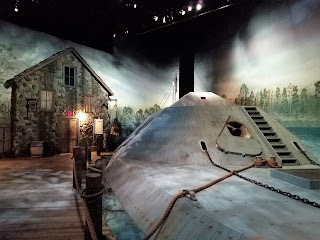 The recovered hull provides a look at construction of the gunship. It is a must see for naval history buffs. 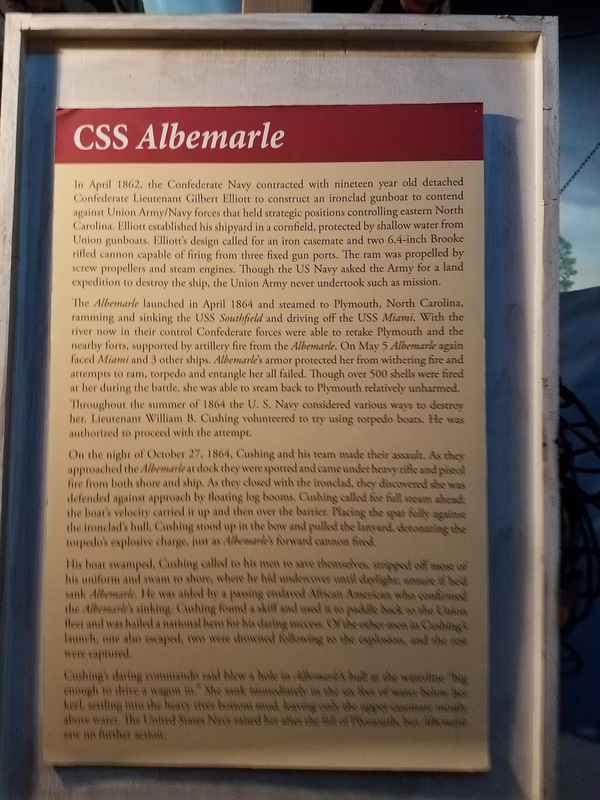 On a final note, sadly the outside ship display was closed as it was no longer safe for visitors. 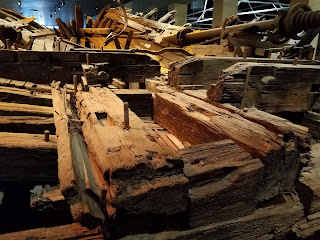 On our last visit a few years ago, you could still visit the ship but even then, the disrepair was evident. 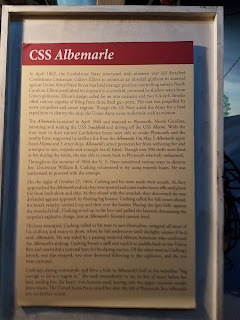 Hopefully they will find the funding to restore it soon.